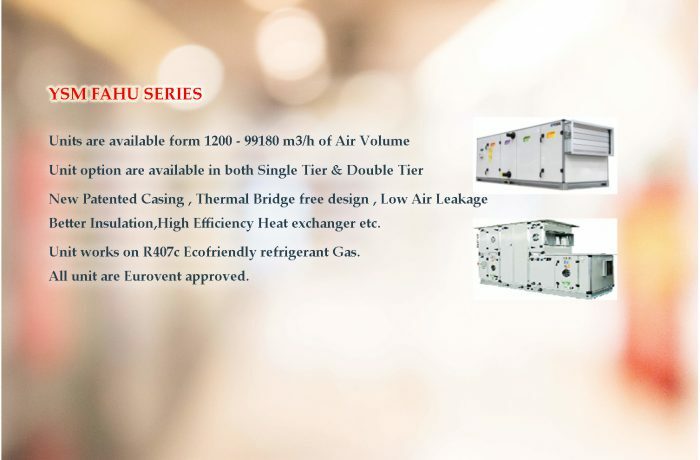 New Patented Casing , Thermal Bridge free design , Low Air Leakage ,Better Insulation,High Efficiency Heat exchanger etc. Unit works on R407c Ecofriendly refrigerant Gas. All unit are Eurovent approved.